(From left to right) Divya Wadhawan, IIM Bangalore; Chandrima Sinha, vice-president, Invest India; S.C. Kalia, non-executive non-independent director, Yes Bank; Ajai Kumar, non-executive director, Yes Bank, and Mohd Farhan Ansari, IIM Bangalore. How can India build a smarter, collaborative healthcare ecosystem? How can technology help improve urban air quality? From exploring practical solutions to reducing plastic waste and tackling food wastage with the help of artificial intelligence, Yes Bank Ltd has set out to crowd source innovative solutions for India’s key urban development challenges through its immensely successful platform: Yes Bank Transformation Series. The initiative is part of Yes Bank’s efforts to help make India’s youth future-ready by instilling entrepreneurship and innovation. What began in 2010 as a case study challenge for B-school students, has been scaled exponentially to bring global organizations, government entities, and students across India’s management and tech institutes to chart the road map to solve issues of national importance. Yes Bank Transformation Series, over the years, has engaged more than 75,000 of India’s brightest young minds in their quest to be future leaders and entrepreneurs. 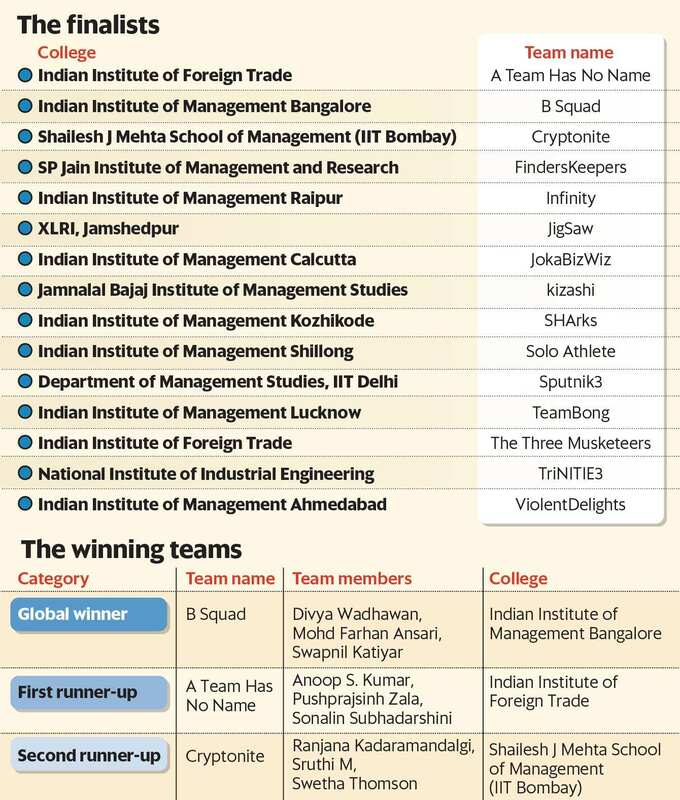 Recently, the initiative was also ranked as the second-most prestigious B-School competition of 2018 by Dare2Compete.com (a leading platform and community for B-school news and competitions), based on over 3,600 student responses. With collaboration and co-creation at its core, Yes Bank has partnered with 12 global leaders for the 7th edition of Transformation Series, to identify top development priority areas that need immediate focus through scalable innovative solutions. Having addressed three key aspects of the economy—Fintech, Smart Cities, and Social Development last year—the 7th edition of the competition explored focus areas brought together by global innovators, such as Adobe Inc., Cisco Systems Inc., Microsoft Corp., Shell International BV and United Nations Development Programme, and Indian pioneers, including BigBasket.com, BookMyShow.com, Sportz Interactive Pvt. Ltd, Urban Ladder Home Décor Solutions Pvt. Ltd and T-Hub Foundation. Yes Bank challenged budding future leaders to suggest technology-driven solutions to identify challenges faced by urban India. Some standout solutions emerged, which thoroughly impressed the case study partners. To further help make these solutions scalable, Yes Bank will explore synergies with its Yes Scale accelerator programme, which engages with innovative tech start-ups across five high-impact sectors: Smart city, clean technology, agriculture, life sciences and education. Receiving an impressive 30,000-plus registrations from B-schools and engineering colleges across the country, Yes Bank has also recognized the efforts of the active student community in providing path-breaking insights throughout the competition, by conferring three teams per participating B-school with the “Campus Ace" title. For each of the 12 cases, three student teams with the best overall solutions were identified as Y-Star top Tier winners. There was also a “cheat code" contest to recognize 30 best solutions from participating campuses, earning the best teams the rank of Early Bird winners. The submitted entries were evaluated by a panel comprising members from respective case partners and the Yes Bank leadership. Evaluation parameters included understanding of the case, depth of research, originality of the solution and feasibility of the idea, to name a few. More than 200 teams were finally chosen after multiple rounds of deliberations. The top 15 shortlisted teams then had to solve a case of national importance as part of the grand finale. 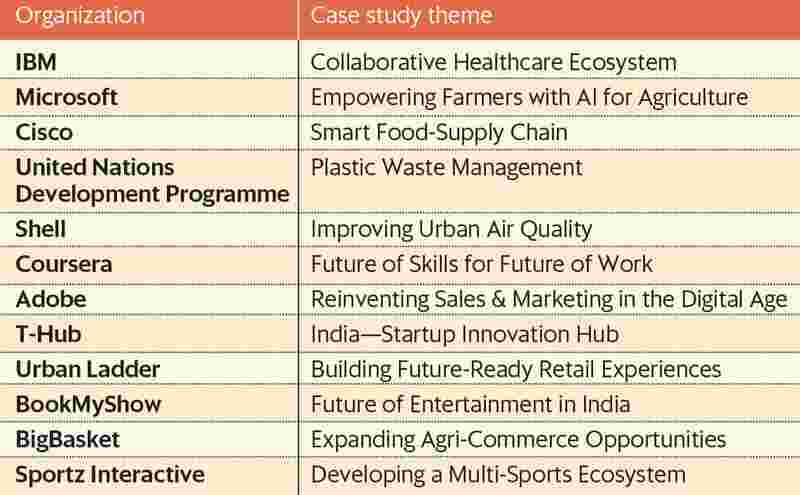 Traditionally, the top 15 teams work on key national challenges presented by the grand finale case partner, which in the past have included the ministry of new and renewable energy and NITI Aayog. This year, Yes Bank partnered with Invest India, a non-profit venture under the department of industrial policy and promotion, government of India, to help promote cross-border e-commerce for India’s crucial micro, small and medium enterprises (MSMEs) sector. The partnership is essential to Invest India’s larger strategy of sourcing inputs from industry to enhance cross-border e-commerce, encourage brands to go global and promote exports, to develop the overall MSME ecosystem in the country. The MSME sector in India has seen an unprecedented growth trajectory, contributing to almost 29% of India’s gross domestic product as of FY15-16, with over 63 million enterprises. This boom has greatly been facilitated by the burgeoning e-commerce industry. Eliminating several middlemen and intermediaries, e-commerce has not just helped these MSMEs into connecting with their customers directly, but also get a fair price for their products. The winning team will be awarded with ₹ 5 lakh, while the first and second runner-ups will get ₹ 3 lakh and ₹ 2 lakh, respectively, in addition to a host of other benefits.